+Purchase a 2017 Nissan Titan in dealers remaining stock. Dealer retains all rebates and incentives and mark-up. All rebates, incentives and mark-up will be applied to the 24 month lease of the 2017 Nissan Rogue Sport S in dealers inventory. Vehicle is sold at addendum price. Lease a 2017 Nissan Rogue Sport S with no payment for 24 months. The 24 months is a lease thru NMAC and is 12,000 miles per year. Customer must qualify for Tier 1 rates and also qualify for 2 auto mobiles. 740 or higher credit score. Not all buyers will qualify for program. 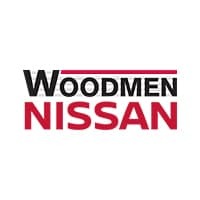 Woodmen Nissan will make a 1 time payment to NMAC for $10,800.00. This will be 24 months at $450.00 to NMAC. Buyer will be responsible for all lease end demands and residual including any excess mileage, excess wear and tear and any maintenance charges that incur. Offer ends 03/31/2018. Our goal is to provide each of our customers with a wide range of financing options. We offer everything you want out of vehicle maintenance – and then some.